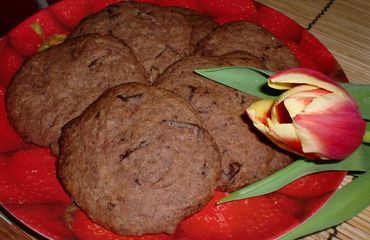 Mix together all the ingredients - flour with baking powder, sugar, cocoa, cinnamon and finely chopped chocolate. Add egg yolks, liqueur and softened butter and prepare a smooth dough. Make same shape patties and bake it at 160° C for about 15-20 minutes.